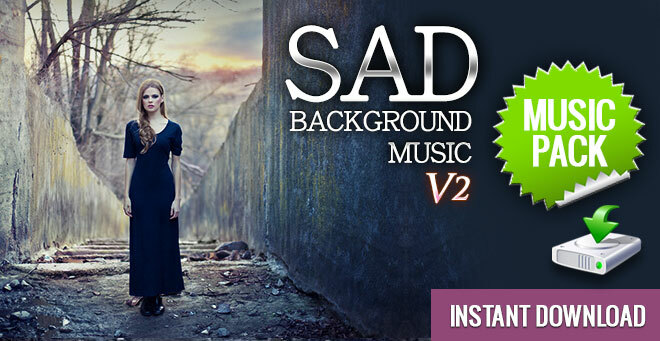 When you need to bring your audience to tears and tell your story in a way that captures their hearts and minds, it’s time to download ‘Sad Background Music V2’ and break those hearts in style. With six tracks of weepy, nostalgic tear-jerkers, this Music Pack is all you need to put together a sound track of raw tragedy that should captivate your viewers. ‘Sad Background Music V2’ features 6 touching tracks of beautifully, melodic moodiness that include acoustic and orchestral arrangements as well electronic instrumentation. From the soft rock ballad style of ‘Monsoon Season’ to the sheer acoustic melancholy of ‘Sweet Sorrow’, this music pack empowers you to create the perfect sad sound track for your project. 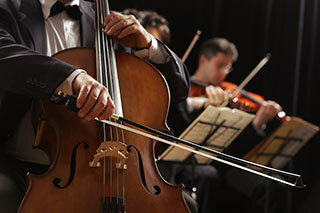 Be sure to check out ‘Sad Background Music V1‘ for more orchestral sounding songs. Whether you’re producing a documentary video, game soundtrack or television drama, your standard Q-Music license will cover you for pretty much most uses. See the usage list to the right for a quick list of acceptable uses. You get six sad background music tracks that were composed and produced with the sole purpose of gently inducing a deeply emotional state in your audience. Just take a listen to these track previews to hear the six, exquisitely mournful tracks of ‘Sad Background Music V2’. Download ‘Sad Background Music V2’ today and captivate your viewers with music from Q-Music.